Daniel Costa is the chef/owner of three popular Edmonton restaurants - Corso 32, Bar Bricco and Uccellino - but he's also the head chef at home, too. Costa shares one of his favourite recipes that can be on the table in mere minutes. After spending countless hours weekly kneading, rolling, and cooking pastas at work, you would think the last thing chef Daniel Costa would want to do is cook pasta at home. But pasta is on the Costa family dinner table multiple times per week. "When cooking for restaurants, you zone in on refinement, perfection, and execution throughout a service. Cooking at home is more of a natural and simple process," says the chef who lives and breathes Italian food. 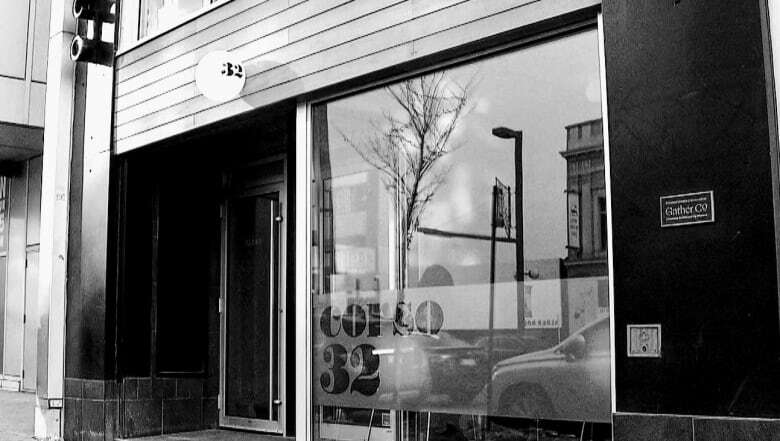 His restaurants — Corso 32, Bar Bricco and Uccellino — are among the finest Italian restaurants in Canada, yet Costa remains perpetually inspired by the simple, delicious Italian food from his father, Mario. Costa grew up eating a lot of slow-cooked bean soups, simple greens, and pasta at least four times per week. "During the summer months, many of our meals revolved around our garden. A lot of fresh tomatoes, onions, and basil, with lots of olive oil," says the chef. House cured meats like capilolla or soppressata were also featured prominently, as was a cheese, caciocavallo, generally brought back from Mario's hometown in a suitcase. Want to see more Fast Food? Catch all of the recipes and episodes here! Though Costa is all grown up, with a partner (Megan) and son (Gennaro), family dinners look much the same as they did years ago. Bean soups, garden vegetables, pasta, and lots of olive oil are still mainstays, with a brand new back yard pizza oven about to be christened this spring. One of his favourite dishes is spaghetti aglio e olio, which is simply spaghetti with garlic and olive oil. It's a dish he fondly reminisces about sharing as lunch, dinner, or a late-night snack with his dad. 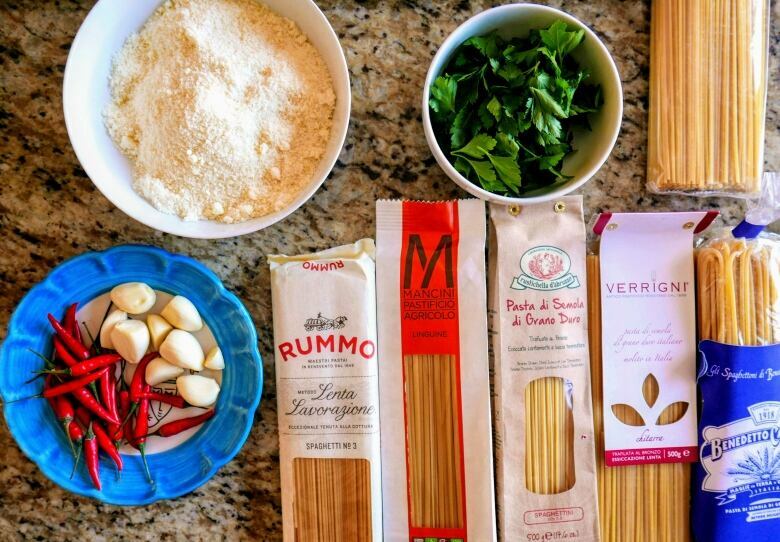 The key to a great spaghetti aglio e olio is starting with the best ingredients. A great dried spaghetti should have a slightly rough looking exterior, which allows the sauce to cling to the pasta. An ultra smooth cheap spaghetti won't have the same desirable chew to it, and the sauce will slide right off. Two current favourite brands are Verrigni and rustichella d'abruzzo. A great olive oil also elevates this dish, so this is where you use your best stuff. Costa recommends Frantoi Cutrera, a Sicilian oil available at the Italian Centre Shop, as is the pasta. Be sure to cook the spaghetti al dente, as finishing the cooking in the hot garlic oil with a splash of pasta water is essential to the pasta soaking up all the flavour. 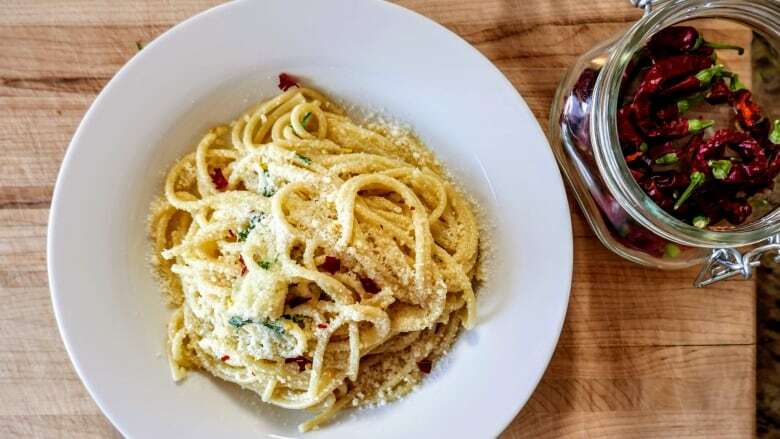 Though there are many versions of this dish across Italy, and most do not include cheese, Costa loves the addition of finely grated pecorino romano, which adds a beautiful extra layer of saltiness.